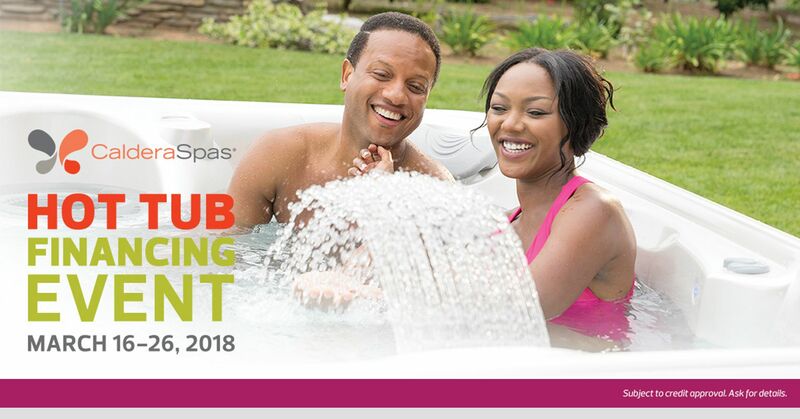 If you have already been considering a hot tub, now is the time to make sure you are getting the PERFECT hot tub for you! When purchasing a Caldera Hot Tub, you are purchasing a brand known for its superior quality and manufacture warranty. Every Caldera hot tub has premium features including advance jet configuration to enhance hydrotherapy and rejuvenation! From Friday March 16th through Monday March 26th, Pool World has special financing options. Come into one of our four store locations for more details or visit our Caldera Hot Tubs.